The last room anyone wants to clean is the garage. It’s usually the place where all your excess stuff gets tossed when you tell yourself “I’ll deal with it later”. But organizing your garage doesn’t have to be tiring our annoying. In fact, it can be invigorating to clean out that space and find a home for all your forgotten knick-knacks. And that’s exactly what these books help you do. In this post I’ve curated the 15 best books on garage design, renovation, and organization. No matter how big your garage or how much stuff you have these books can help you dig through the mess to create a space you’re proud to call home. Before diving into a cluttered garage you need a process to get it cleaned out. This is where The Book on Garage Organization comes in handy. It’s a pretty small read with only 64 pages. But it shares useful tips on actually getting your garage in order. This process looks different for everyone but it all comes down to the type of stuff you have lying around. Extra boxes with tons of junk you don’t use? Have a garage sale! Or do you keep all your lawn tools and equipment just lying around? Grab some garage cabinets and get those tools tucked away. The goal is to create space in your garage while organizing everything inside. You can do this any number of ways but you need to find what works for you and stick to it. Just reading this book won’t take you the whole way. But it will give you a solid idea of what to do and how to structure the organizational process. Garages don’t have to be oily messes full of old boxes and broken lawnmowers. Your garage should feel like an extension of your home with space for everything you need. 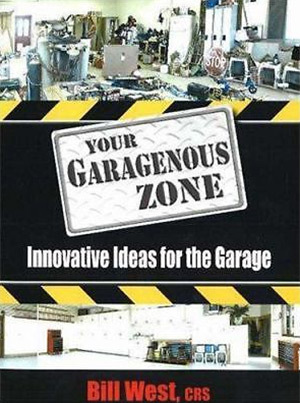 In Your Garagenous Zone: Innovative Ideas for the Garage author Bill West shares his approach to a true garage makeover. You’ll learn about storage options like bins, hanging cabinets, and tall floor cabinets along with tool cubbies and workbenches. And Bill talks about ergonomically designing your garage to hold plenty of space for cars during the winter. What good is a garage if you can’t protect your cars from the cold? 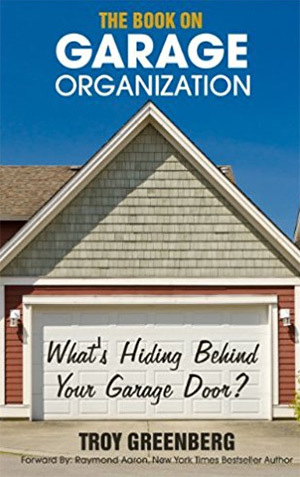 But this isn’t a traditional garage organization book. It goes one step further looking at the garage as its own room full of opportunities. You’ll learn how to add furniture, tables, a mini fridge, and even a television set if you’re daring enough. Bill’s idea of a modern garage is the complete opposite of the dark dingy reclusive spaces of the 20th century. If you’re willing to forge ahead with new garage design ideas then this book is both practical and inspirational. 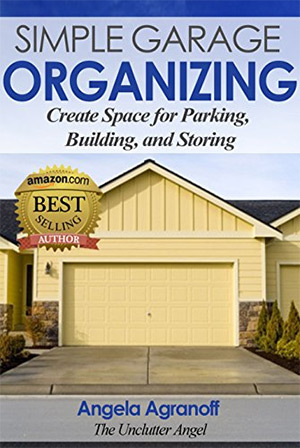 Organize Your Garage In No Time is the definitive guide to garage organization. It’s cheap, easy to read, and super easy to follow along no matter how much stuff you have. Over 288 pages Barry Izsak shares his professional experience in room organization. He’s the owner of Arranging It All and his years of tidying up have led to major conclusions about living spaces and proper organization. Everything in this book is practical and actionable. Barry focuses on budget first and tries to save you money in the process. Why should you spend hundreds of dollars just to get your room clean? The good news is that all you really need is some time and patience. As you work through the book you’ll find to-do lists that you can check off. Whenever you complete a task you’ll feel that sense of gratification that you’re one step closer to a well-organized garage. Cheap recommendations include products for peg hooks, rafter hangers, and simple cabinets to line your walls and keep the floor open. 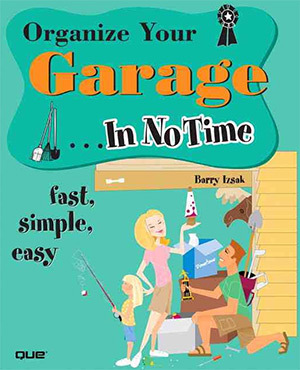 If you feel overwhelmed by your garage and want a method that works I highly recommend Barry’s book. It’ll take your garage to a whole new level and it’s one of the easiest books to complete. 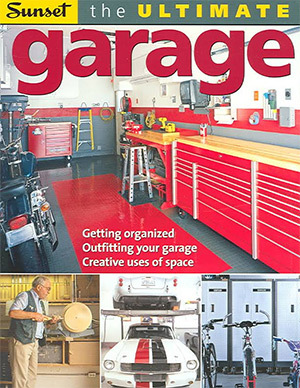 While this title isn’t about garages specifically, the principles still apply to any garage. One Thing At A Time is light and straightforward sharing tips for busy people who want to organize their life. With 200+ pages and over a hundred tips you’ll learn how to plan your cleaning around your busy schedule. Tips include dusting/cleaning routines, strategies for organizing things, labeling things, and declaring one day as a full “clean it” day. The writing style is terse and simple. Brevity is the key to any cleaning regimen because you want to get in and get your garage sparkling. I do think this book applies well to garage spaces, however it’s not a garage-oriented book. So you’ll need to use some critical thinking to come up with your own ideas along the way. But to just get some ideas and a cleaning schedule this book is a nice read. You may also like our list of books on home organization which focus more on the process rather than the room. With over 200 full color photographs and some truly inspiring ideas, I have to recommend this book to every home decor lover. Garage: Reinventing the Place We Park is not a step-by-step help book. Instead it’s a 200+ page resource to study what your garage could be and what potential design ideas are out there. Just because most garages have concrete floors and spider webs in every corner doesn’t mean yours has to look like that too. 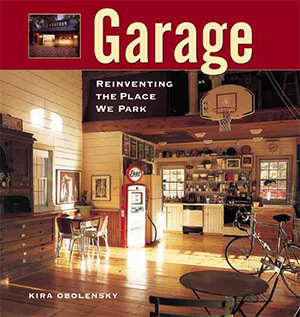 The idea in this book is to look at a garage as just another room in your house. It can become a library, a study, a work space, or even a retreat to relax after a hard day at work. And while this book doesn’t exactly show you how to recreate these garages it does show floor plans & possible projects you can try yourself. This is half ideas book and half coffee table book made for garage enthusiasts. If you want your garage to be more than just a roofed driveway this book will set you on the right path. At only 40 pages long I can’t say reading this will go too far. But it will get you started on your journey of organizing and restyling your garage. Simple Garage Organizing really looks at the process and tries to simplify everything. You do not need to know anything or have any plan before reading this book. The author guides you through a series of questions to help you understand what you want to do and how you’d want your garage to look. There is no right or wrong way to design your garage. It’s different for every person based on their goals. But organizing when you have no specific goals can feel like anarchy. If you want a quick guide to plan your organizational strategy then this book will help. It’s a quick read so you’ll get through it and feel more motivated than ever. But it’s not a complete guide so it’s really only useful to people in the early stages of cleaning. Another short read is DIY Garage Makeover which I feel offers much more tangible advice. This book is about 45 pages long so you can get through it in a couple hours or less. First you’ll need to consider how you want to use the space and what your goals are with organization. Do you still want to keep stuff in the garage? Where? How much stuff? Once you can answer these questions you’ll create a checklist and go to town. 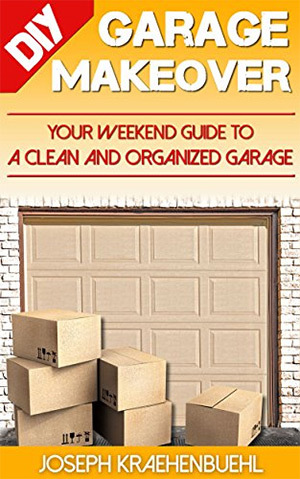 The book is promoted as a do-it-yourself cleaning guide that can get your garage looking spiffy in one weekend. Depending on how much stuff you have it could certainly take more than a weekend of work. However the principles in this book are solid and they don’t assume any size or build of your garage. If you need to buy storage that’s fine, or if you’d like to use what you have that’s fine too. This book focuses more on the process regardless of what outcome you’re looking for. The act of cleaning your garage isn’t too strenuous. But it can be extremely intimidating when you have no idea where to start or how much stuff you need to dig through. 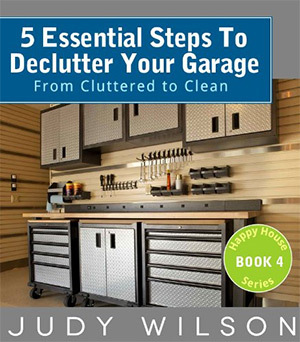 5 Essential Steps To Declutter Your Garage by Judy Wilson offers a clear process of decluttering and organizing everything in that space. Judy is an interior decorator with over 15 years of experience working with every room you could imagine. With each chapter in this book you’ll tackle one problem at a time in a linear fashion. First you’ll consider what needs to be thrown away vs what you should keep. Then you’ll think about where to keep this stuff. Following this you’ll learn to organize your stuff better & how to keep your garage in working order year-round. Again, this is all pretty easy. Anybody could do it. The problem is breaking through the barriers of doubt and anxiety. Judy’s professional expertise can show you how to get past those roadblocks to help you reach your destination of a beautiful garage. Your garage can become anything you want from the ultimate hang zone to the perfect workshop. The Ultimate Garage looks into many different styles and decorating patterns to build your garage into whatever you like. You’ll find plenty of inspiration with photos and commentary from other garage owners to refurbish their space into something more. But you’ll also find tons of actionable tips and strategies you can use in the designing process. I wouldn’t exactly call this book a true organization title. Instead it’s more like a home decor book with ideas for decorating and remodeling. You’ll learn about flooring, lighting, insulation, heating, and ultimately everything you need to radically revamp your garage. Some homeowners might like this approach. Others just want a clean garage to keep their cars out of the weather. Everyone has their own strategies and it’s up to you to decide if this is one you want to follow. Storage space is perhaps the most important part of any garage restyling. There’s always lots of stuff to get rid of but you’ll also have tons of stuff you want to save. That’s where Garage Storage Solutions can help. This 130+ page book covers everything from metal shelving units to wall-mounted wooden storage cabinets and everything else. 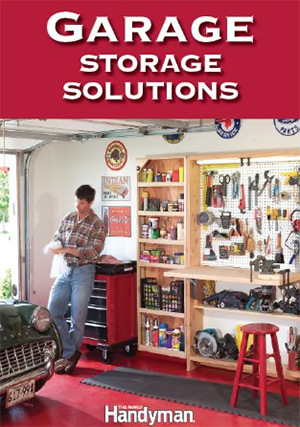 It’s a detailed guide to storage solutions built for the average garage. And the best part is that you don’t need any hands-on experience to work through this guide. The typical DIY-er already knows how to dig in and get their hands dirty. But this book is made for homeowners who don’t know the first thing about building cabinets or setting up storage. For that reason alone I recommend this as a must-buy for anyone reorganizing their garage. This book focuses just on the storage aspect so it’s not a perfect cover-all guide. But it gets into such great detail that it’ll prove immensely valuable to getting your garage neat & tidy. 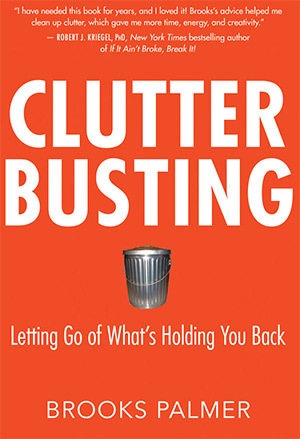 Going a bit deeper into messy rooms is the book Clutter Busting written by Brooks Palmer. This book looks into messes and the psychology behind homeowners who struggle clean them up. Some people see their things as an extension of themselves or their memories. This is why garages can pile up with boxes of decades long past that never seem to move. It can often lead to emotional distress which is why cleaning out your garage can bring out feelings of anxiety. Thankfully this is one area Brooks knows something about. He runs his own service helping people clean out their lives and get past the clutter. This book concisely explains his ideas and techniques that you can follow while cleaning out your own garage. And these techniques aren’t limited to just one room. They can apply to any room in your house, or your desk at work, or even your car or anything else you own. I recommend this book for people who feel anxious or stressed about organizing. These feelings are very normal but they have to be overcome if you want to make real progress with your home. What better way to clear out extra stuff than through a yard sale? Everyone has likely seen one of these or at least been to one at some point in their lives. But nobody ever sits you down and teaches you how to run one yourself. 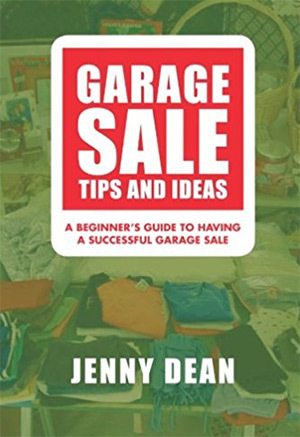 Garage Sale Tips and Ideas is a brief 50-page book covering the ins & outs of a typical garage sale or yard sale(same thing really). By following this guide you’ll learn how to properly price items, how to display them for sale, and how to draw attention from passerbys. The book includes a checklist you can follow to make sure you’ve covered everything in great detail. It’s a pretty short read so don’t expect this to be a complete compendium on the process. However it is a fun organizational guide to garage sales for cleaning out clutter and making some money too. A good way to analyze your garage is to take a step back and look at the room. How did it get to look how it does? How could you prevent it from happening again? After reading The Tidy Garage you’ll have a much better sense of how garages collect clutter and what you can do to avoid this in the future. But this guide also delves into solutions for keeping your tools, house supplies, and related knick-knacks organized and easy to find. From bicycles to tool sets and spare paper towels, this book has an idea for everything. And more importantly it’ll force you to think about your behaviors to consciously become aware of how your garage ends up messy in the first place! You can avoid the constant mess with minor cleaning regimens every few weeks. 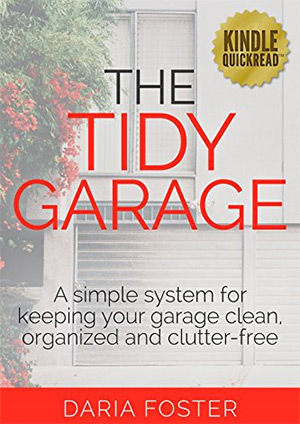 The Tidy Garage is an excellent book for neat freaks and messy homeowners alike. It’ll give you all the resources you need to clean out your garage and keep it that way for years to come. Remodeling is often the best choice when you want a completely different feeling in your garage. But the process of remodeling is not easy on your own. 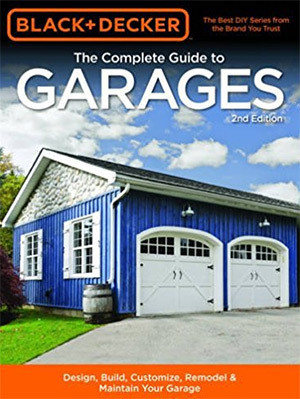 The Complete Guide to Garages is the authoritative book on designing, remodeling, and maintaining a killer garage. It’s published by Black & Decker so the tips are both pragmatic and easy to follow. If you just need a simple cleaning book then this probably goes too far. It’s more like a guide for homeowners who want to completely redesign their garage and do a lot more with the space. Garage door replacements, automatic door openers, electric wiring and lighting are all covered in great detail. Plus this book doesn’t assume you have prior knowledge or a DIY mentality. It can guide you all the way through a project and even help you find a contractor for the work you don’t wanna handle yourself. I had to throw this one in for good measure because it’s such a great book for garage fanatics. 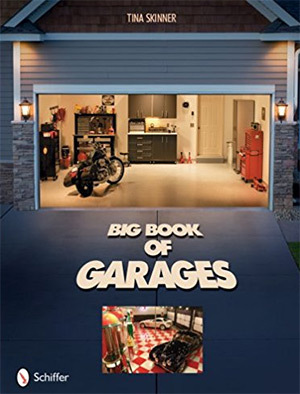 Big Book of Garages comes with a strong hardcover design and dozens of beautiful garage makeovers. From new interiors to renovated exteriors, you’ll find a load of quality inspiration printed between these 120+ pages. You’ll find tons of cool ideas you can mimic for adding storage space and cleaning clutter off the floor. But this book works just as well on your coffee table as an inspiration to home designers. If you love garage interiors then this book will act like irresistible eye candy. Dozens of unique designs and cool ideas from different vantage points so you can study and replicate these ideas in your home. Granted this book is a fun look into garage design, but it’s certainly not a how-to book. I recommend this more for idea gathering or just for inspiration on your bookshelf. 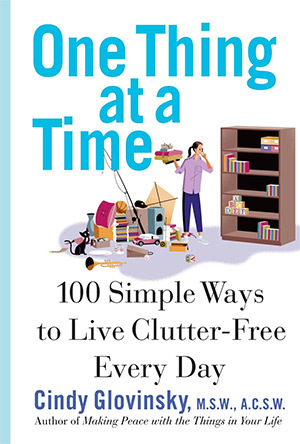 Overall the books in this post cover a wide gamut of topics from basic decluttering to creating a cleaning checklist, running a garage sale, or completely renovating your garage. Once you know what you want out of your garage you’ll have a much easier time picking the right book to match your needs.